Yes, MOBILE.... Means I come to you, No matter your location. NO need for a tow truck or to drop off your vehicle. Finish cleaning your house, take care of kids, work etc... while I work on your vehicle. Convenient and fair, Just for you. NO middle man, so you get charged a fair price. I am clean Cut, Trustworthy, Positive Attitude, Drug & Slacker free, Safe, Honest and Prepared. I have all the correct tools to get the job done correctly and safely. I am completely honest, I am not here to just make money but I am here to help YOU. I love what I do and enjoy completing a task with success and seeing the happy face you make when your car is back on the road. Everyone needs there vehicle for Family, Friends, Work, Hobbies & Responsibilities. Everyone also wants to keep as much of their hard earned money as possible. Save hundreds of dollars and give me a call for a free quote. Every car is different so there are no set prices. Let me know what year make and model as well as service needed and I will have a VERY reasonable quote for you. I do all repairs, not just the simple stuff like brakes and spark plugs. 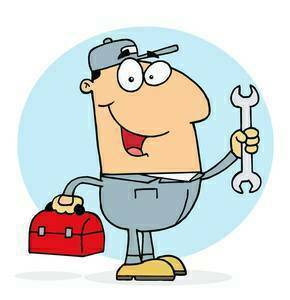 Suspension, Fuel, Spark, Brake, Air, Heating, Cooling, AC, Check Engine Light, Diagnostic, OBD, Transmission Swaps, etc. 1) Do not trust anyone with your money. People give the mechanic money to pick up a part and never come back. Even if they say they get a discount. I hear about it all the time. Dont let it happen to you.